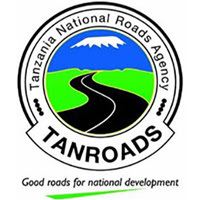 THE REGIONAL MANAGER, TAN ROADS - NJOMBE is responsible for the day-to-day management of the Tanzania Mainland's Trunk and Regional Roads Network. Its primary functions include the management and development works, operations of the network, axle load control, the implementation of road safety, environmental measures and provision of advice on the strategic framework, policies and plans for the road sector. The Regional Manager — TANROADS Njombe on behalf of the Chief Executive TANROADS is looking for open minded and creative candidates who are motivated to work within a modern and dynamic organization. TANROADS encourages applications from both men and women to fill the following positions on contract basis at the Regional Manager's Office Njombe. These positions are within Njombe Region, successful candidates must be ready to work independently, all days of the week including Saturdays, Sundays and Public Holidays and with high pressure of work. They should be prepared to work for considerable lengths of time. The successful candidate will report to the Axle Load Control Supervisor. vi) Any other duties as may be assigned from time to time by the Regional Manager. • Age: Not above 40 and not below 35 years of age. i) Weigh Motor Vehicles of Gross vehicle Weight (GVW) 3,500kg plying on our Public Roads. iv) Record all necessary particulars regarding the motor vehicle being weighed. v) Observe good customer care, dignity and integrity. vi) Report all matters to the Shift In-charge. vii) Any other duties as may be assigned from time to time by the shift 1n-charge/ Axle Load Control Supervisor. • Age: Not above 35 years of age. Two (2) Years Contract, Including Six (6) Months Probation Period. The contract will be renewable on the Employers' discretion, which may be based on performance. Other terms and Conditions shall be as stipulated in the TANROADS Personnel Manual. iv. Perform such other related duties assigned by Head of Accounts and Administration. • Must be fluent in both Kiswahili and English language. • He/She must pass the Agency's competitive entry interview. The successful candidates will report to the Head of Accounts and Administration. • Ensuring office equipment is kept in proper place. Not more than 35yrs of age Holder of secondary education certificate Must be able to communicate in Kiswahili and English He/She must pass the Agency's competitive entry interview. The successful candidates will report to the Head of Engineering. • To perform such other related duties as may be assigned by the supervisor. • Holder of Certificate of Secondary Education Examination who passed Mathematics, English and Kiswahili. • Only shortlisted candidates will be called for interview.